Mario’s unsung sibling got his own gig in 2001 for the launch of the Nintendo GameCube. 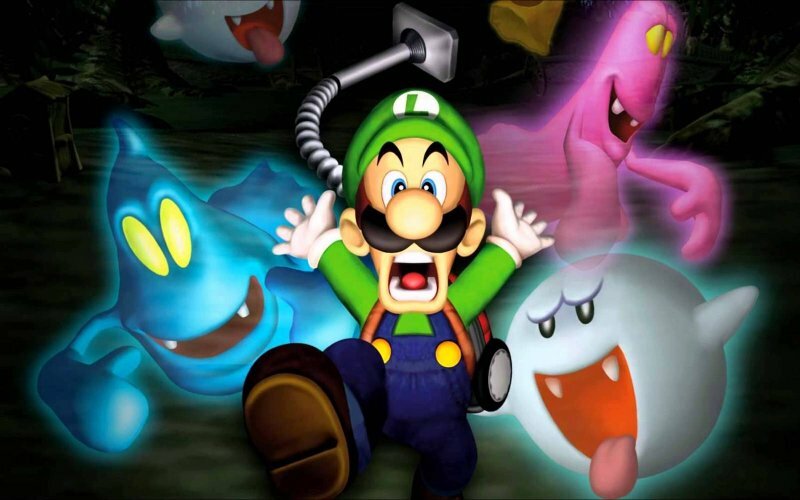 Leon, Tony, Darren Gargette and GameBurst’s Gary Blower return to Luigi’s Mansion to investigate whether the foundations of its reputation are sound. The panel also speculate as to what the forthcoming 3DS sequel will offer. Great episode; the artist is actually my favourite of the ghosts (though it’s been so long that I can’t remember his name). There’s a subconscious buildup to meeting and fighting him; the final ghost in the entire house besides King Boo; the one who has been creating all of the lesser ghosts that you have to fight through before it’s even possible to vacuum him up. It was his plight that I found myself sympathising with the most; and one of the ghosts I was most creeped out by. The way he got so furious and was able to generate endless ghosts to whittle me down created quite an intimidating figure when I first saw him. I do enjoy games that feature Luigi prominently quite a bit. Mario always comes off as a weak character, generally only defined by those around him except in a few special cases. Luigi, on the other hand, feels so much deeper; less of an avatar being driven around the screen and more of a friend that I’m experiencing the events of the game with. I’m really looking forward to the sequel, and I really doubt I’ll be disappointed in whatever I end up with. Keep up the good work, fellas. Nice, thanks for the comments! It really is a joy to play after all this time and whetted my appetite for the sequel even more. Gary Blower is always an excellent guest. Are you Gary’s Dad? Seriously though, Gary is one of the people we keep in mind all the time as a potential guest for certain shows about particular titles.